There are plenty of commercial sources of information about careers in aviation, however I saw a need for a source of information made by professional pilots for future pilots and others that are interested in a "behind the scenes" perspective. Feel free to email me with any questions or suggestions you may have and I'll do my best to give you a timely response when possible. This page is a "work-in-progress" so any input or suggestions about the content of this website are more than welcome. 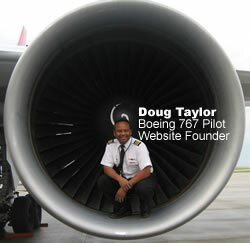 If you are an aviation professional and would like to submit content for the Jetcareers.com website, please contact me. I could use the help and the site always needs fresh perspectives.